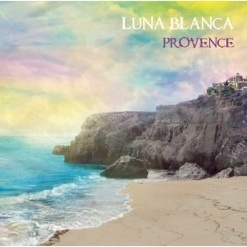 Pirates Bay is the latest musical confection from the German Nouveau Flamenco group, Luna Blanca. 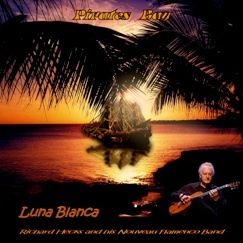 Helmed by classical guitarist Richard Hecks and co-written with pianist/organist Helmut Graebe, Luna Blanca has become one of the most popular World Music bands on the planet. Their 2012 release, El Dorado, was the recipient of the Best World Album award by Zone Music Reporter for that year, and it’s likely that Pirates Bay will receive similar accolades and recognition. In addition to outstanding performances, this music overflows with joy, adventure, and a strong sense of fun. 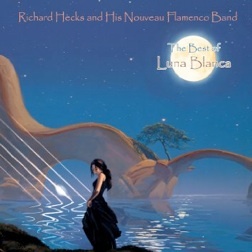 In addition to Hecks and Graebe, Luna Blanca includes Bino Dola on rhythm and lead guitar and Clemens Paskert on bass, percussion and keyboards. Guest artists are Uwe Gronau on organ on two tracks, Davina Carolin on piano on two tracks, and Gundy the singing mermaid on the only track that includes vocals. A few pieces include nature and other sounds to further illustrate the story. Pirates Bay begins with “Carolina,” a wonderful opener with a swaying Latin rhythm that evokes images of warm, tropical breezes, wide sandy beaches, and plenty of relaxing sunshine. The title track is a favorite. Infectious energy, great organ work by Gronau, and soaring guitar by Hecks send this one into the stratosphere. “Fighting Jack” cranks the energy level up another notch and adds a danceable rhythm that makes this a fantastic party song. Are we having fun yet? You better believe it! “Pina Colada” has more of a slow-dance feeling with a gentle rhythm and beautiful guitars creating a peaceful ambiance. Guitars and keyboards paint a picture of the perfect afternoon basking in “Sunshine” and watching the world go by. “Let Me Tell You” reminds me of some favorite instrumentals from the 1960s - rhythmic and peaceful with a gorgeous melody. “Pirates and Mermaids” is likely the most radio-friendly track with a female voice taking the role of a siren luring a sailor with the only vocals on the album. Catchy rhythms, more beautiful guitar playing, and the haunting vocals make this one a stand out. “Black Pearl” is another favorite with more incredible organ playing by Gronau, a strong rock beat that makes it impossible to sit still, high energy guitar, and haunting keyboards that come together for an unforgettable piece of music-making at its best. Love it! “Hopeless Chance” ends this this excellent album with a poignant, wistful guitar ensemble piece that touches the heart. Pirates Bay will very likely be on my list of Favorites for 2014, so be sure to check this one out! 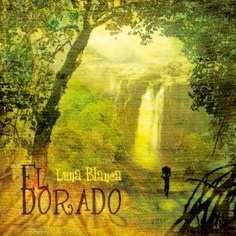 It is available from lunablancamusic.com, Amazon, iTunes and CD Baby. Very highly recommended!